This New England classic in a mere 30 minutes? Our four simple steps show you how. 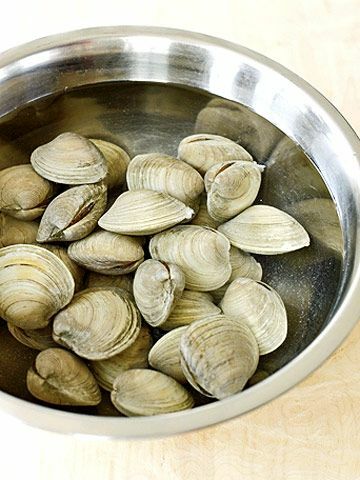 NOTE: If you are unable to hand-pick the clams, order a few extra in case some are damaged and have to be discarded. 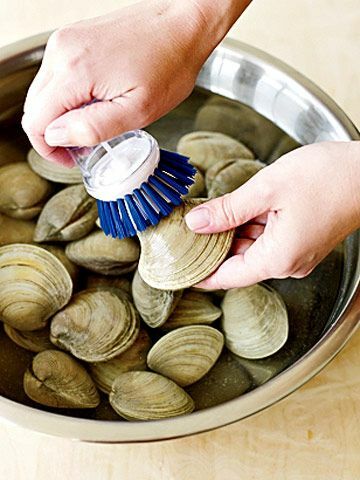 Discard any clams that are cracked, chipped, or open. Soak in a bowl of water for 20 minutes to clean. Meanwhile, cook bacon in a skillet over medium-high heat for 6 minutes or until crispy. Set on paper towels to drain. Once clams have soaked, scrub one by one with a brush to remove any additional sand or barnacles. 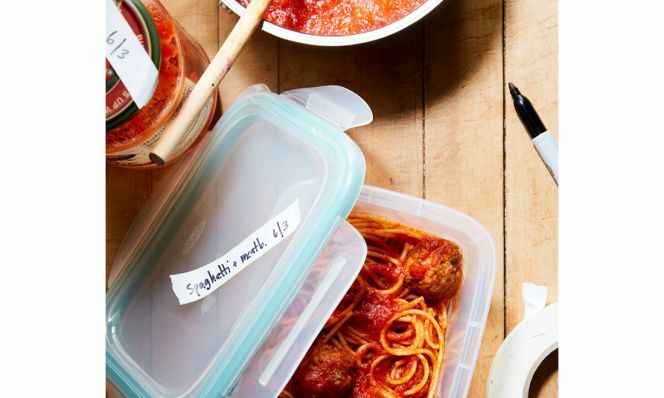 Fill a large pot with a steamer insert with 1 inch of water. Heat to simmering, add clams, and cover. Cook, covered, for 4 to 6 minutes, or until all shells open up. 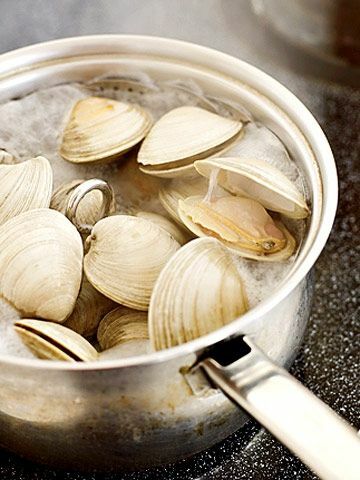 Take off heat; remove clams from pan, reserving liquid. 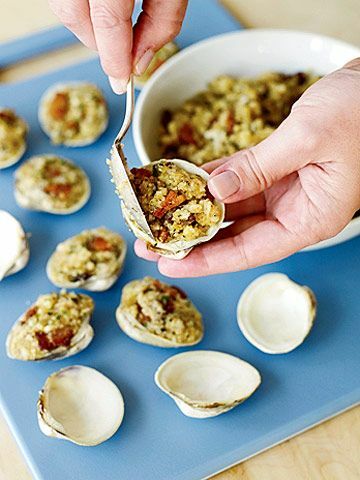 Let clams cool slightly. Pull off top shell and remove clam from shell to a cutting board. Coarsely chop clams. Heat broiler. Place 24 clam shells on a baking sheet. 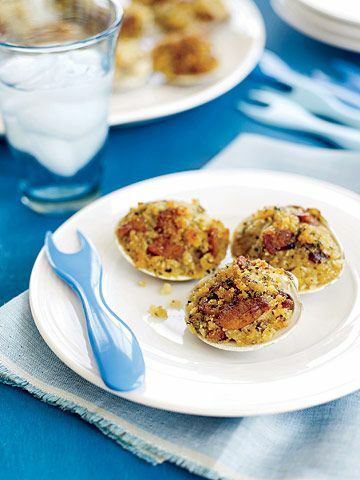 In a large bowl, combine clams, bacon, bread crumbs, Parmesan, oregano, garlic powder, and black pepper. Stir to blend. Drizzle with olive oil and 2 tablespoons of the reserved cooking liquid. Stir until moist. Spoon stuffing into clam shells, dividing equally. Broil stuffed clams for 2 to 3 minutes, until browned on top. Serve warm. Copyright &copy 2007. Originally published in the August 2007 issue of Family Circle magazine.